We collect payments in NGN. Do you want to upgrade from your existing Email Hosting Plan? You will not lose any existing emails/data. You can only buy one Email Hosting, Web Hosting, or Website Builder plan per domain name. Please select from the two options below. Real Time Editor - See the changes as you make them! Q. Do I have to purchase a Hosting package to buy a Website Builder package? No, you don't have to worry about that. Our Website Builder packages come with a free Web and Email Hosting package. Q. Is there a demo version of your Website Builder? Yes, we do have a demo that you can try out before buying a Website Builder package. Q. Is there a money back guarantee on your Website Builder packages? 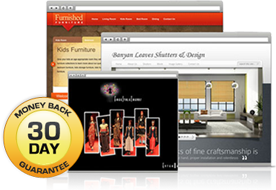 Yes, we offer a Risk Free, 30 Day Money Back Guarantee with all our Website Builder packages. Q. What components are included with your Website Builder? Our Website builder includes popular components like Blog, Image Gallery, PayPal, eBay and Google Maps. Q. Can I design/upload my own Theme? You can choose from over 180 stunning themes designed by expert designers. Our themes can be used for personal, professional as well as ecommerce Websites. You can also create your own theme. Q. Can I upgrade to a higher plan? Yes, you can upgrade to a higher plan at any time. Q. Will there be any advertisements on my site? Absolutely Not! All our Website Builder packages are completely Ad-Free. Q. Does the Website Builder include any SEO feature? Our Website Builder packages come integrated with a Search Engine Optimization feature to help you rank higher on search engines. Q. I own a website with another host - can I move my site on to website builder? No, I'm afraid you will not be able to migrate an existing Website directly on to a Website Builder package. However, you can move website files over by downloading them from your other host then uploading them to your website builder account. The website content can then be filled to achieve a similar result.